For over a year we have been On the Road in search of some of the best farms and chefs that we can find. 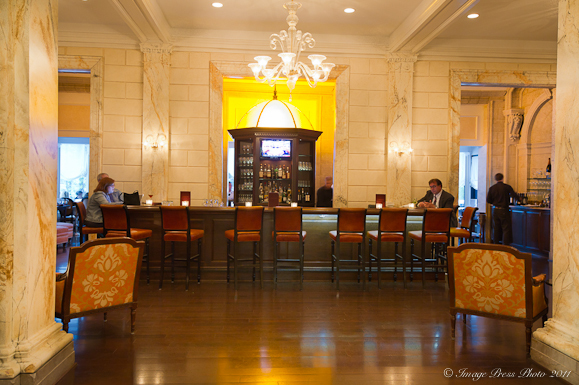 We are always intrigued by our chef interviews and this interview with Executive Chef Walter Bundy of Lemaire at The Jefferson Hotel in Richmond, Virginia was certainly no exception. Our conversation with him was different than many interviews we have done in the past. Listening to Chef Bundy’s philosophy on being a chef and relating it to his personal life was refreshing. 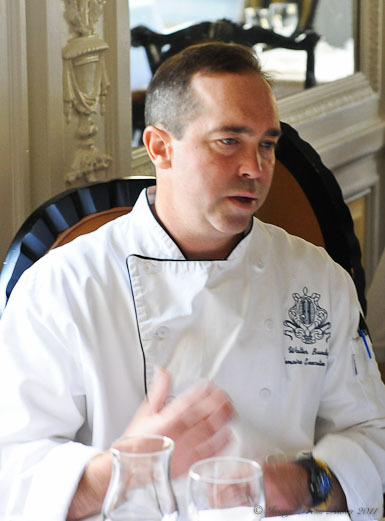 A native Virginian, Chef Walter Bundy has been at Lemaire since 1998. He began as a Sous Chef and was promoted to Executive Chef in 2001. 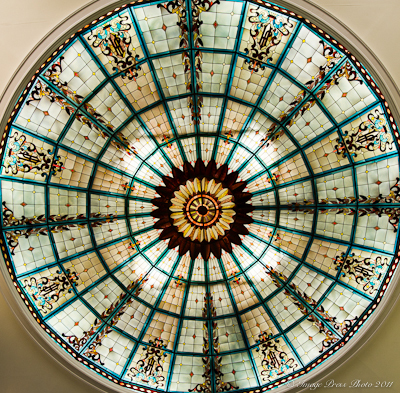 A graduate of both Hampden-Sydney College in Virginia and the New England Culinary Institute, he had a history of working with great chefs prior to coming to Lemaire. In Santa Fe he worked for Mark Miller at Coyote Cafe. In Napa Valley, California he did his externship at Pinot Blanc and worked under Joachim Splichal before going on to work with Thomas Keller at The French Laundry. Chef Bundy has been invited to participate in several prestigious James Beard dinners and has received many accolades. He has also appeared with Bobby Flay on an episode of Food Network’s Food Nation. In 2009, Esquire magazine called Lemaire one of the Best New Restaurants in the country, after Lemaire reopened with a new focus and new menu. Some great chefs have also worked alongside Bundy at Lemaire including several that have gone on to open their own restaurants: Philip Denny of Six Burner in Richmond, and perhaps, most notably, Sean Brock of McCrady’s and Husk in Charleston. Chef Bundy is passionate about what he does and believes that good people attract good people and people that are passionate about what they do attract people that are equally as passionate. As the son of a Naval physician, Bundy has had the opportunity to live all over the country during his lifetime, however he has chosen to make Richmond his home. Originally from Richmond, he gets very excited when talking about the city. He said that cooking had allowed him to explore life and experience different places, however, he loves the lifestyle that Virginia offers: the great schools for his two children, and the close proximity to the mountains, ocean and the Chesapeake Bay. 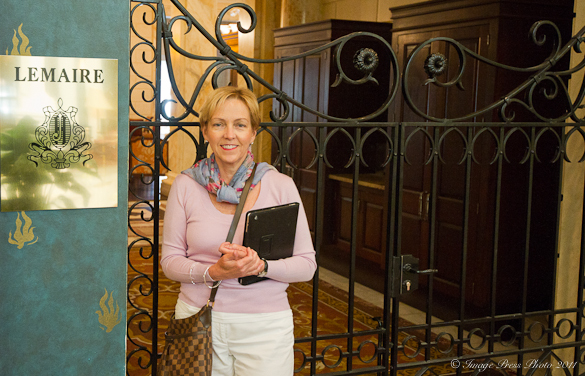 He loves the change of the seasons, the rich history and the great local artisans. He said Virginia is a unique place. A passionate outdoorsman, you might find him enjoying some of the beauty Virginia has to offer by hunting, fishing or kayaking, when he is not in the kitchen. THANKS for this one 🙂 I must make these very very soon. I love fried green tomatoes, even more fried yellow tomatoes! Unbelievable! Every single dish looks divine, and I would have a hard time choosing off Chef Bundy’s menu, that’s for sure. I’ve yet to try fried green tomatoes, and really like combination of ingredients in that salad. Nice interview! Gwen – another great interview! Someday, when I’m “in” the food industry, I’d love to work with someone like Chef Walter. Kudos to the Chef for finding a work/life balance that gives him enough time to spend pursuing other passions. Those fried green tomatoes are some of the prettiest I’ve seen. And I loved learning more about Chef Bundy and hearing about his desire to live a balanced life. Thank you for sharing, sweet friend. I hope you had a great start to your week. Much love! 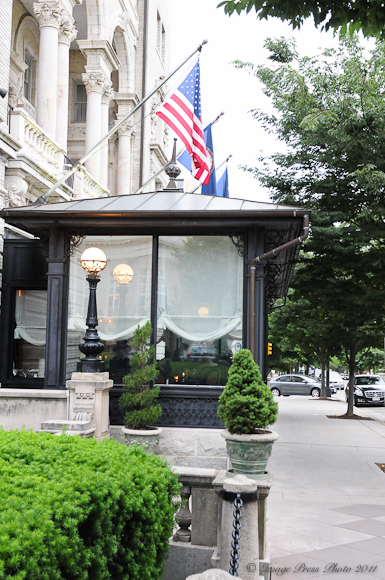 We ate once at Lemaire, it was a great experience. Everything was perfect. I suggest that you contact Lemaire and ask to speak to the manager of the restaurant. If they are willing to share the recipe for the beef tenderloin dish, I am sure they will be happy to provide it to you. If you don’t have any success, check back with me and I will see what I can do to help. I am so glad that they were able to help you with the preparation of the dish. I hope that it turned out well, so please let me know! I am glad to hear that your dish turned out so well. It sounds incredible!